This year's Vision Preview 2017 will be hosted at the Miami Airport Convention Center (MACC) which is attached to the DoubleTree by Hilton Hotel Miami Airport. There are still Deluxe Guest Rooms available at the Doubletree! You can Book Reservations Online or call the Resorts reservations department at 305-261-3800 to reserve a POF discounted Deluxe Guestroom at the reduced rate of $139. The Hotel still has plenty of rooms available at the POF discounted rate, if you are told differently, please contact of POF immediately by phone 850-201-2622 or email Admin@pof.org. 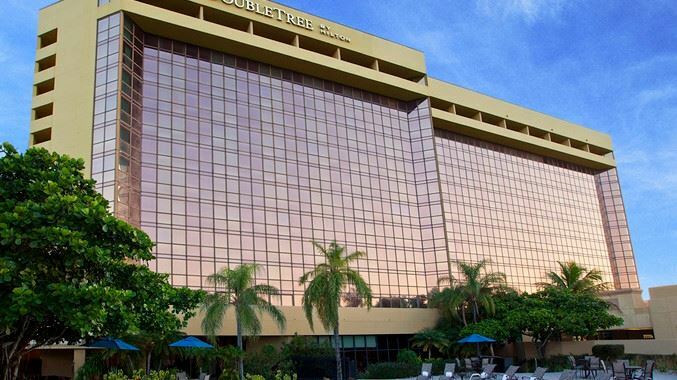 Low Hotel Room Rates at the DoubleTree by Hilton Hotel Miami Airport & Convention Center.